Successfully Added Zhiyun Z1-Evolution EVO 3 Axis Gimbal - 320-Degree Tilt, 270-Degree Roll, 320-Degree Pan, 2000mAh Battery, App, For GoPro to your Shopping Cart. Shoot professional-grade footage with your Go Pro action camera like never before with the Zhiyun Z1-Evolution EVO 3 Axis Gimbal. This high-end camera gimbal features an easy to use plug and play design. It is 100% wireless for easy operating. You will be able to simply slide in your Go Pro camera and start filming right away. 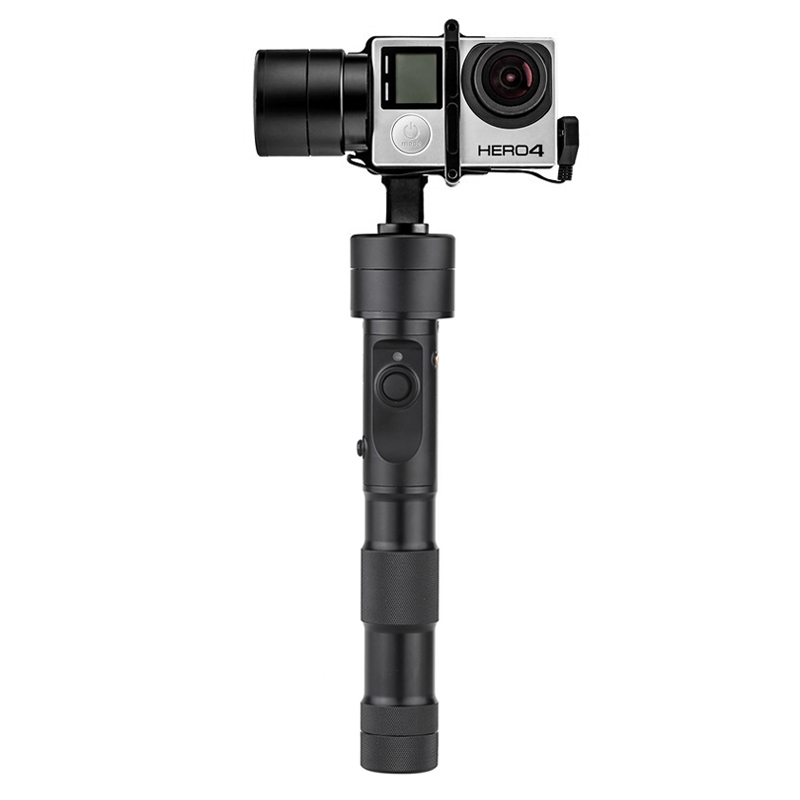 With its premium look and feel, this 3 axis camera gimbal will certainly increase your filming experience. From now on, you’ll be able to shoot smooth and stabilized images no matter where you’re at. With its whopping 2000mAh battery, it brings along up to 12 hours of continuous usage time for you to enjoy. This 3 axis gimbal from EVO features third generation programming for a more efficient and smoother performance. It supports 320-degree tilt, 270-degree roll, and 320-degree pan. Thanks to this, you’ll be able to smoothly rotate your camera around and capture footage from any angle. With App support, this 3 axis camera gimbal shares recordings straight onto your smartphone. It furthermore supports joystick control for easy camera operation. If you’re looking for a cool gadget to improve your video quality, the Zhiyun Z1-Evolution EVO 3 Axis Gimbal is perfect for you. Whether you’re filming from the back of a car, or while walking around – with this gizmo at your side you’ll always be treated to smooth and stabilized images. The Zhiyun Z1-Evolution EVO 3 Axis Gimbal comes with a 12 months warranty, brought to you by the leader in electronic devices as well as wholesale electronic gadgets..